In order to more adequately display our wide array of custom and semi-custom cabinetry options, we have created a page on Houzz. This account features projects, descriptions and reviews of our cabinetry services. We are a main distributor of many of the most popular and high-end custom cabinetry lines such as Premier Custom-Built Cabinetry, Signature Custom Cabinetry, Composit and Kitchen Craft Semi-Custom Cabinetry. Below is a description of our cabintery work, and feel free to browse our gallery of projects which have utilized custom cabinetry\. 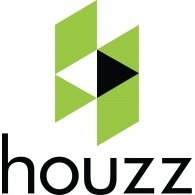 Our Houzz account can be viewed here. Showcase Kitchens is an award-winning kitchen design company that has two Long Island showrooms as well as a New York City subsidiary. Showcase Kitchens proudly traces its kitchen design roots back to 1933. Over the years our still family-owned company has created thousands of innovative kitchens across Long Island and beyond – with thousands of clients whose recommendations have allowed us to continue growing. Showcase Kitchens of Long Island has always specialized in upscale kitchen design as well as other fine interior work. We carry internationally recognized cabinet manufacturers and appliances, many exclusively to Long Island or Nassau including Premier, Signature and Composit. With one full-scale showroom in Manhasset and the other in Massapequa, we translate your kitchen design dreams, whether they are traditional, transitional or modern design into a livable, stunning kitchen that integrates the latest designer features, beauty and function. NKBA,NARI, ACSD, PKBP, CKDTrends Magazine "Top 50 American Kitchens", New York Spaces "Top 10 Designers on Long Island"